The Barbican Centre is one of the largest performing arts venues of its kind in Europe and is situated on Silk Street within the City of London. The Grade II listed building is home to a varied and exciting programme of classic and contemporary music, theatre, film screenings, and art exhibitions. The Barbican is owned, funded, and managed by the City of London Corporation, one of the largest arts funders in the UK. The Barbican Centre was built as the ‘City’s gift to the nation’ and prides itself on being a public space, as well as a private arts space. The building’s magnitude is very impressive, being comprised of three theatres, three cinema screens, an art gallery, a library, three restaurants, seven conference rooms, two trade exhibition halls, and several informal performance spaces. The three auditoriums (Barbican Hall, Barbican Theatre, and The Pit) have a combined capacity of over 3000 people, and the three cinema screens can hold between 156 and 288 people each. The second-floor library is one of the five designated City of London libraries, making it one of the largest in London; it encourages free events from authors and artists throughout the year. The Barbican has a long-standing relationship with the Royal Shakespeare Company who were involved in the design of the building. The company enjoyed two decades’ residency at the venue before branching out its touring shows, and it returned to perform at the theatre in 2013. The theatre also has strong connections with the Guildhall School of Music and Drama, a renowned theatre school in the area who hold an annual show there produced by its students. It is also famous for being an example of brutalist architecture. 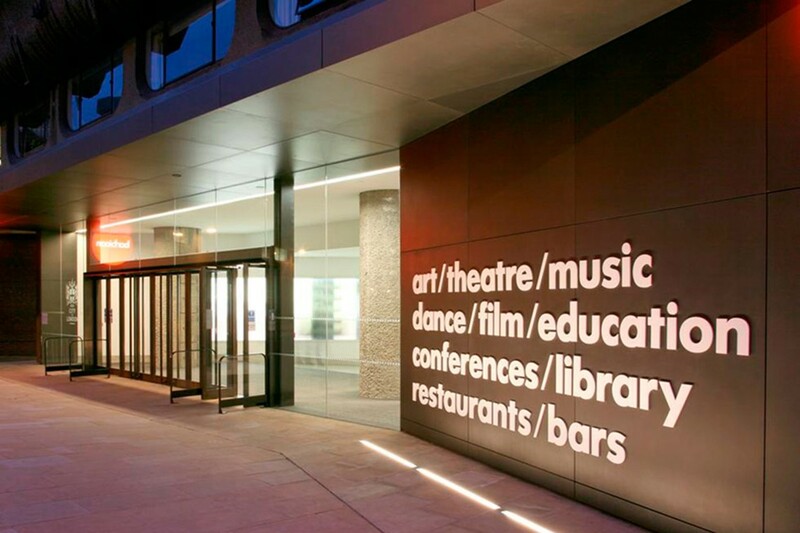 The Barbican is a world-class art and learning organisation that are at the forefront of innovative artistic events. Over 1 million people attend each year to enjoy their programme, which is presented by hundreds of artists and performers from across the globe. Closest Stations - Barbican, St Paul’s and Moorgate. The Barbican Car Parks can be accessed via Silk Street or via the Beech Street tunnel.